If last week was all about going outside the envelope for new discoveries, then this week was pretty much trying to revisit the old known friends. 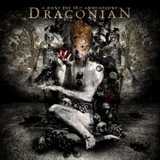 Swedish Draconian stole my heart and allegiance a few years ago. I do not care if some consider their brand of doomy gothic melancholy a bit pompous and the growling beast-singing beauty vocal approach a worn out standard. Formulaic or not, with some bands their more or less by the book way of playing the genre simply strikes a chord with me, and I become a fan. In the case of the latest A Rose for the Apocalypse the familiarity did not breed contempt, although the sense of knowing what to expect did not quite vault this album to the heights of Arcane Rain Fell when I heard that masterpiece for the first time. Beginning the album with their one of the most uptempo songs ever The Drowning Age shows that Draconian IS willing to experiment with what works. Uptempo, however, does not mean upbeat with these Swedes, as the switch to the brooding dense mood is instantaneous and melodic riffs both torture and provide relief at the same time. This sorrowful and engaging feeling sorry for yourself just keeps on oozing with the cuts like Deadlight, both sapping the traces of happiness away, yet finding the liberation in this distress. Sweet cleansing grief has always been the modus operandi for Draconian and things do not change in that regard. At the same there are signs of the band trying something new. End of the Rope with its gliding harmonizing guitars is something Dark Tranquillity could have come up with when in one of their more gothic leaning modes. Dead World Assembly is also faster than the typical Draconian fare, and it receives a further shot in the arm with a string appearance. The Last Hour of Ancient Sunlight, also chosen for the video, has all inclinations of the upcoming band hit, further strengthened by violin and acoustic sections. Even with all their now polished production, however, Draconian is not a symphonic band, where orchestral arrangements take away the organic feeling. Instead, Draconian relies on the wall of cascading guitars in its delivery, and the songs like A Phantom Dissonance take on the heavier horror atmosphere due to that approach. Anders Jacobsson is in his best-in-the-business growling form, while Lisa Johansson provides that soothing not-too-saccharine angelic voice. Their duets are something I am always looking for (Elysian Night, Deadlight), but the band rarely overlaps their lines. Ominous and alarmist at one point (Elysian Night), Draconian can be overpowering and suffocating elsewhere, even with the oboe reprieve (Wall of Sighs). Rain behind your window and muffled vocals from the old broken down record player, the band can create emptiness and then suddenly crush it with the guitar walls (The Death of Hours). Looking back at A Rose for the Apocalypse, it is perhaps harder to deliver when the expectations were set than to surprise when none were there. Nitpicking my score or not, this latest album is another strong effort in the line of solid gothic doom albums by Draconian.